Investigations revealed the warning is contained in a document issued by Mr Nasir Mohammed, the out-going Port Manager, Apapa Port. According to the document, Mohammed said that the port had received reports of the activities of some unscrupulous operatives/personnel of some security/government agencies bordering on extortion of ship Captains and their crew members that call at the port, including demanding for foreign currencies and other valuables during their duty on board vessels. It was also revealed that such operatives adopt all professional tricks to fault the crew documents and or operations as they cite often non-existing regulations that have been contravened as a basis to threaten the crew with a fine ranging from $5,000 and above. It was also revealed that in all cases, such threats are used to negotiate. 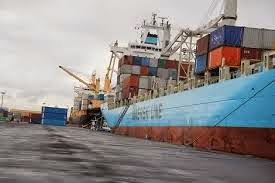 It said that some operatives also violate the privacy of the crew members and have reported to carting away canned food and drink items from the vessels, while vessel captains have often expressed displeasure and anger over such shameful and disgraceful acts. The document recalled that in 2014, the Office of the National Security Adviser(ONSA) wrote to demand an investigation over complaints of alleged extortion during boarding by some security and government officials, filed by the captain of MV ‘KOTOR’ with IMO No. 9575981 that berthed at one of the terminals between August 24 and 28, 2014. It said that the unethical and unprofessional conduct of such bad eggs among security and government agencies involved in boarding vessels to discharge statutory duties remained an eyesore that gave the port and the nation a bad name. The document indicated that measures being put in place to checkmate the bad habit include urging terminals to operate CCTV along Quay side to monitor and record all movement in and out of any vessel, as a compliance requirement. It urged Shipping Agents to encourage their vessel captains to use other devices/measures to monitor the boarding and other activities of all persons on their vessels at the port and promptly file complaints of extortion where such occurs. The document also revealed that Operatives/Personnel boarding vessels had been warned to desist from demanding and or receiving souvenirs from crew members, while all stakeholders were to be enlightened on the specific roles of statutory officials boarding vessels at the port. It promised to expose recalcitrant persons after this warning.